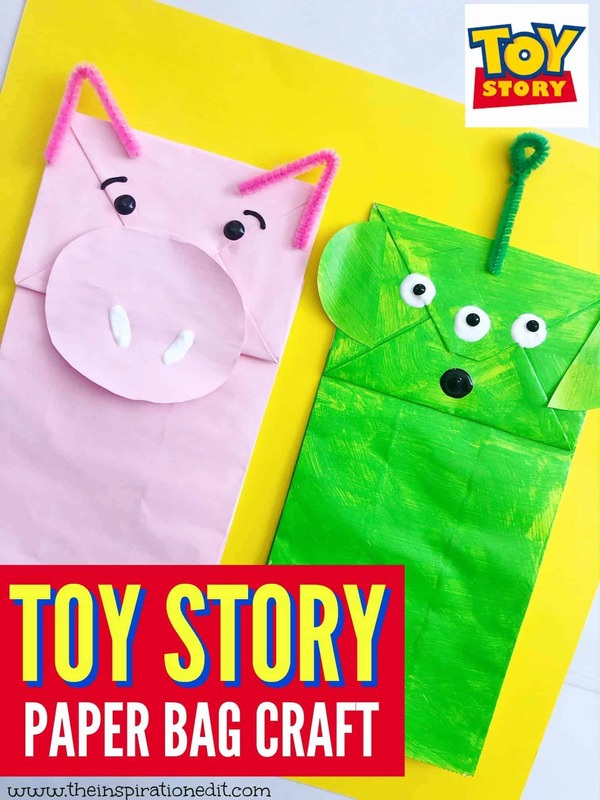 This is a super fun Toy Story crafts tutorial which is perfect for the release of the Toy Story 4 movie or as a Toy Story birthday party craft idea. We are huge fans of the Disney Toy Story movie and are so super excited for the release of Toy Story 4. In fact my daughter is excited to go to the theatre when the animated movie comes out. It’s going to be fantastic. 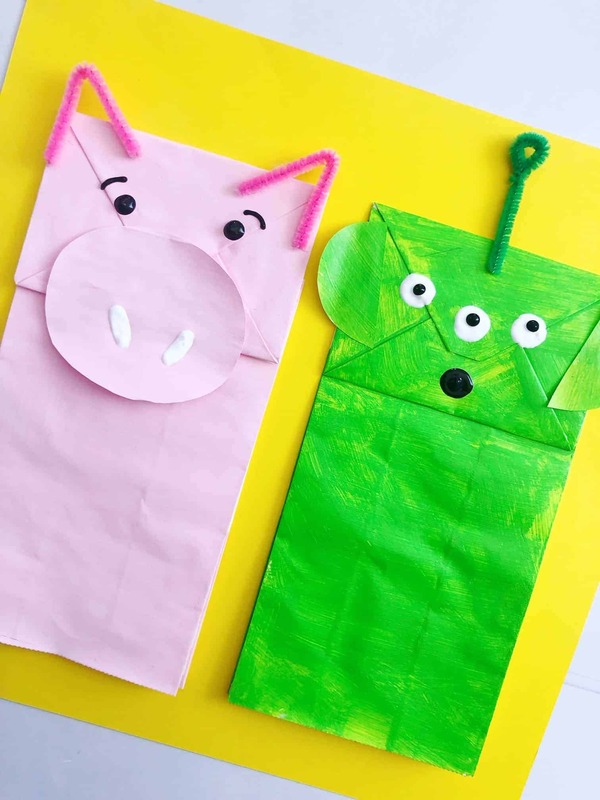 Today we are sharing this fun paper bag puppet craft based on two Toy Story characters, the pig and the alien. 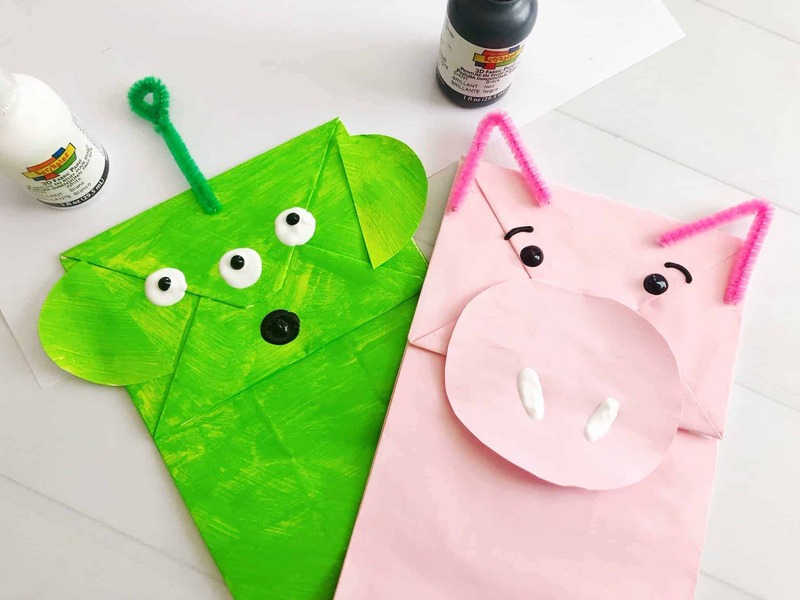 This is a fantastic toy story craft idea and could be super useful for anyone looking for Toy Story crafts for birthdays. Toy Story 4 will be released on the 21st June 2o19. This is super exciting. I’ve heard great things about the movie and there will be some of the usual characters such as Woody, Buzz Lightyear, Bo Peep and Mr Potato Head. The movie will also have a new character Forky, a sprol that has been made into a toy and the Toy Story characters will embark on a road trip adventure. This is one Disney movie not to miss! 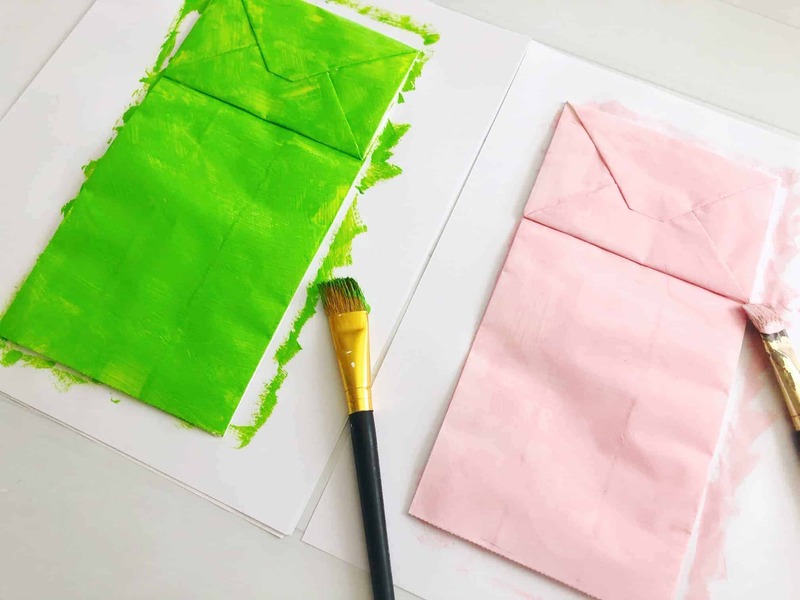 Lay out scrap paper and paint one bag pink, one bag green and let dry. 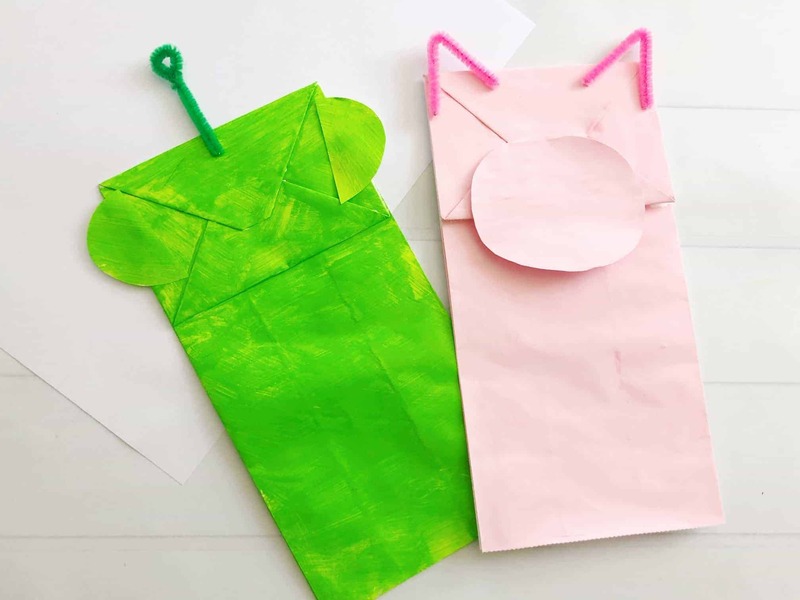 Cut out 2” ears from a piece of scrap paper, paint green and let dry. 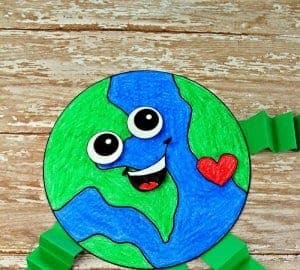 Cut a large circle from a piece of scrap paper, paint pink and let dry. 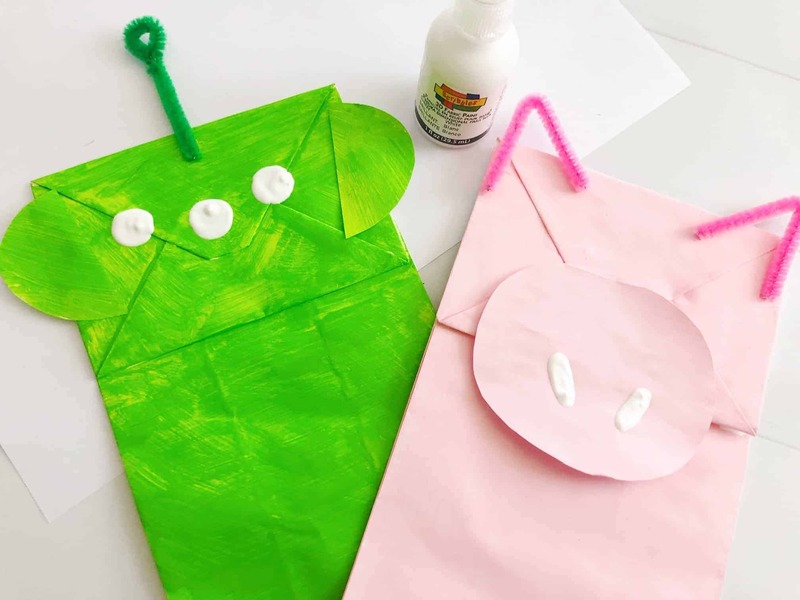 Glue the ears on the top sides of the green bag and the pink circle on the top of the pink bag halfway on the flap of the bag. 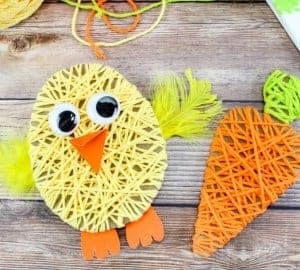 Cut a 3” green pipe cleaner, twist the top into a loop and glue to the top center of your green bag. 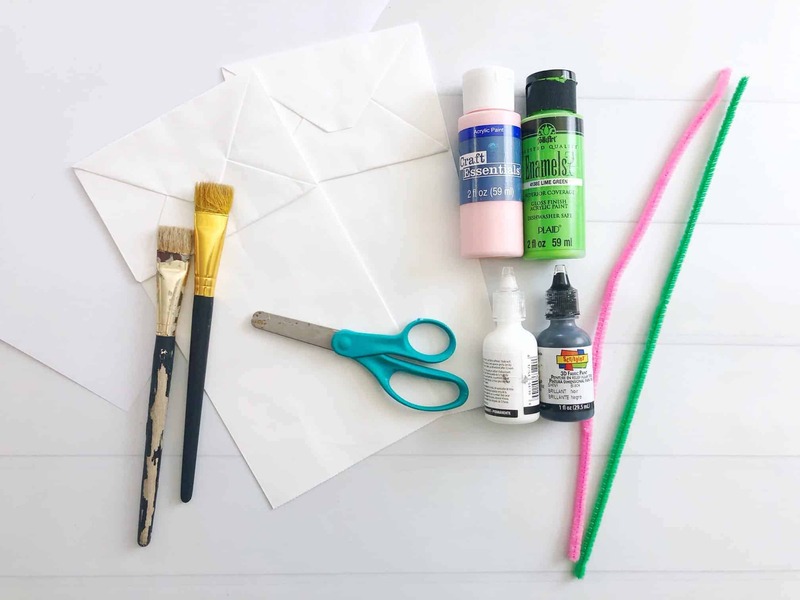 Cut two 2” pieces from your pink pipe cleaner, fold in half for ears and glue to the top corners of your pink bag. 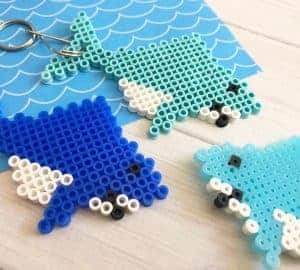 Use the white and black puffy paint to draw on eyes, eyebrows, nose and a mouth and let your bag puppets dry. 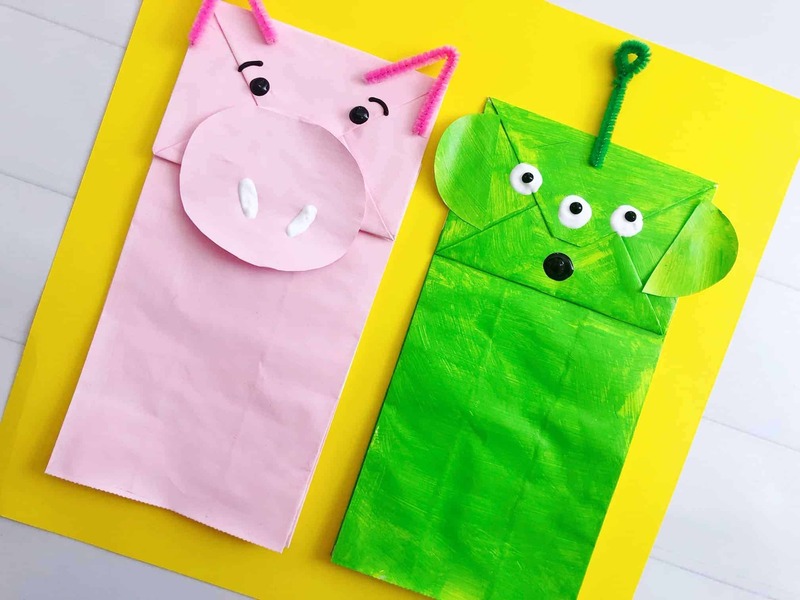 Your Toy story paper bag puppets are now ready. Your toy story characters are now ready to play with. Enjoy.